Where: Raymond James Stadium Tampa, F.L. The Carolina Panthers suffered their 3rd straight defeat last week after a home loss to the Seattle Seahawks. Panthers kicker Graham Gano missed a 52 yard go-ahead field goal with less than two minutes remaining and then the Seahawks were able to drive down the field to setup Sebastian Janikowski’s 31 yard game winning field goal. It was the 2nd straight week the Panthers failed to capitalize on a game winning opportunity and there was a lot of frustration spewing from the locker room throughout postgame interviews. The Panthers, who were once 6-2 SU and seemingly a lock to be one of the best teams in the NFC, need to turn things around just to keep their playoff chances intact. Carolina will get a great opportunity to do just that this weekend when they play the 4-7 Tampa Bay Buccaneers at Raymond James Stadium. Despite the Panthers recent struggles, they have a great opportunity to turn things around this week against a weak Buccaneers defense. In fact, Carolina’s offense behind quarterback Cam Newton and running back Christian McCaffrey have won 3 straight against the Buccaneers. If you stretch those trends out further, Newton has won 9 of the last 11 meetings against the Buccaneers as well. The one thing the Panthers have going for them is the play of their offense which gives them a solid advantage ahead of this Sunday’s meeting. 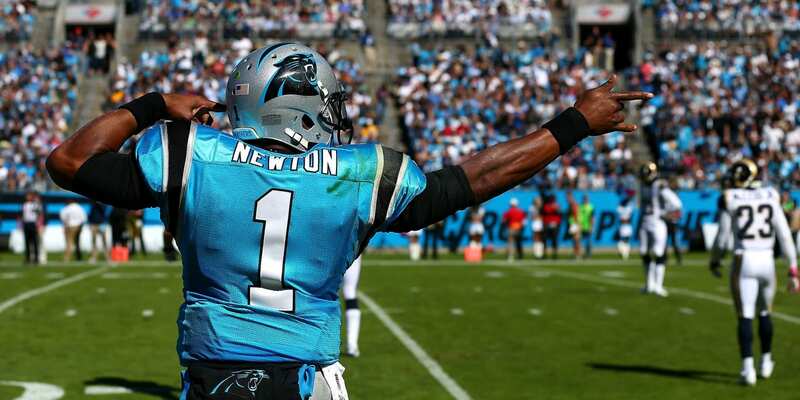 Even in the loss last week, Newton hit 25 of his 30 passes for 2 touchdowns and a pick. Meanwhile, Christian McCaffrey torched the Seahawks defense with 125 rushing yards on 17 carries and another 112 receiving yards on 11 catches. McCaffrey became just the 4th player to eclipse 100 yards rushing and receiving in the last decade as he continues to prove he is among the NFL’s elite threats out of the backfield. With those things in mind, the Panthers would seemingly still have a lot of confidence ahead of this weekend’s matchup with a Buccaneers defense that has given up 30.7 points per game which is the 2nd worst mark in the league. I am sure public perception is that the Panthers will bounce back this week after a pair of close losses against a team they have historically owned. However, Tampa Bay is actual in a favorable situation to spoil those plans. The Buccaneers scored an impressive 27-9 victory over the 49ers last week in one of their most complete performances since their week 1 win over New Orleans. Quarterback Jameis Winston vowed to redeem himself after being benched for Ryan Fitzpatrick following the loss at Cincinnati when he threw 4 interceptions. It took several weeks before Winston regained another opportunity. However since taking over for Fitzpatrick in the 2nd half against the Giants two weeks ago, Winston has hit 41 of 54 passes (75%) for 4 touchdowns and just 1 interception. More importantly the entire offense looked good. WR Mike Evans went over the 100 yard mark for the 2nd straight week, the passing game seemingly got everyone involved, and even the running game produced behind Peyton Barber. Combine that effort with a solid defensive performance against a banged up 49ers offense, the Buccaneers play really well. I think that is a scary sign for Panthers fans this week because the Carolina defense has not played well. The one thing Tampa Bay does well is score points and I have a feeling they will continue to keep pressure on this Panthers defense again this week. As stated earlier, Carolina has held the upper hand against the Buccaneers winning 9 of the last 11 meetings and has gone 8-3 ATS in those 11 meetings. However, Carolina has struggled recently on the road going just 1-7 SU in their last 8 road trips and 1-4 ATS in their last 5 road games. Meanwhile, Tampa Bay has not been much betting going just 2-6-1 ATS in their last 9 games. Therefore, I am not sure if you will find any promising signs from either team from a trend standpoint.